DAC2 click carries LTC2601CDD, a 16-bit digital-to-analog converter, along with voltage output screw terminals. 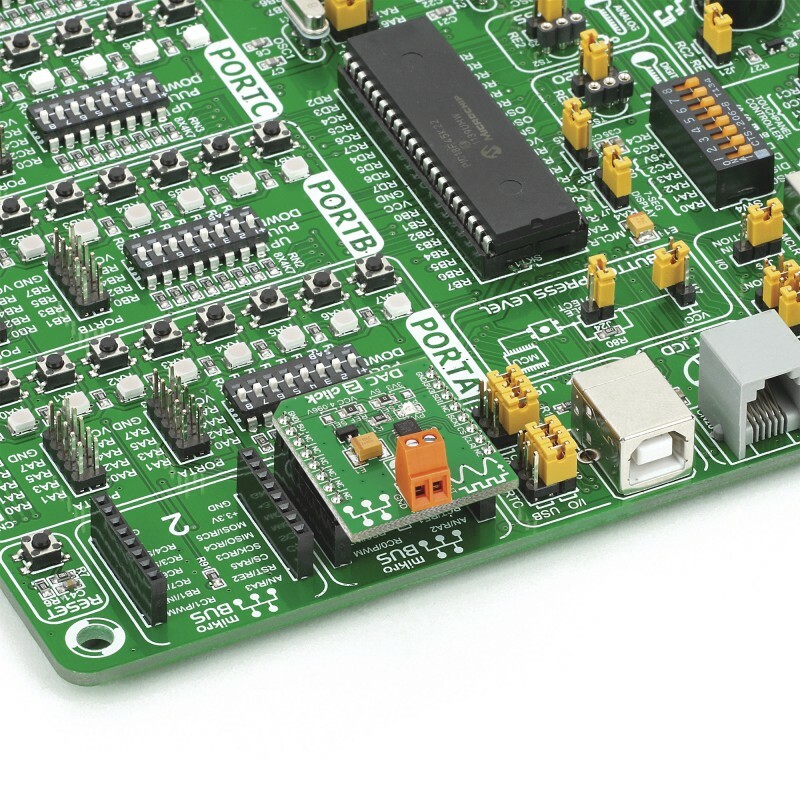 The chip has high rail-to-rail output drives (±15mA, Min) and double-buffered data latches. 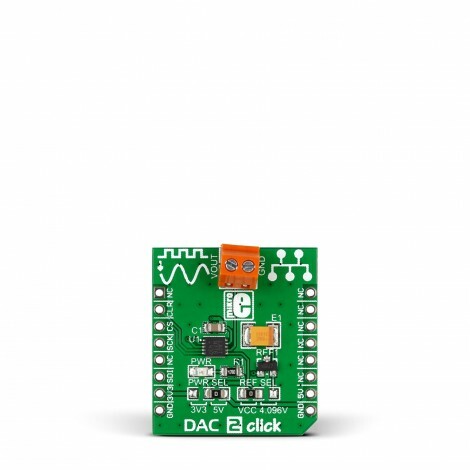 DAC2 click carries LTC2601CDD, a 16-bit digital-to-analog converter, along with voltage output screw terminals. The chip has high rail-to-rail output drives (±15mA, Min) and double-buffered data latches. 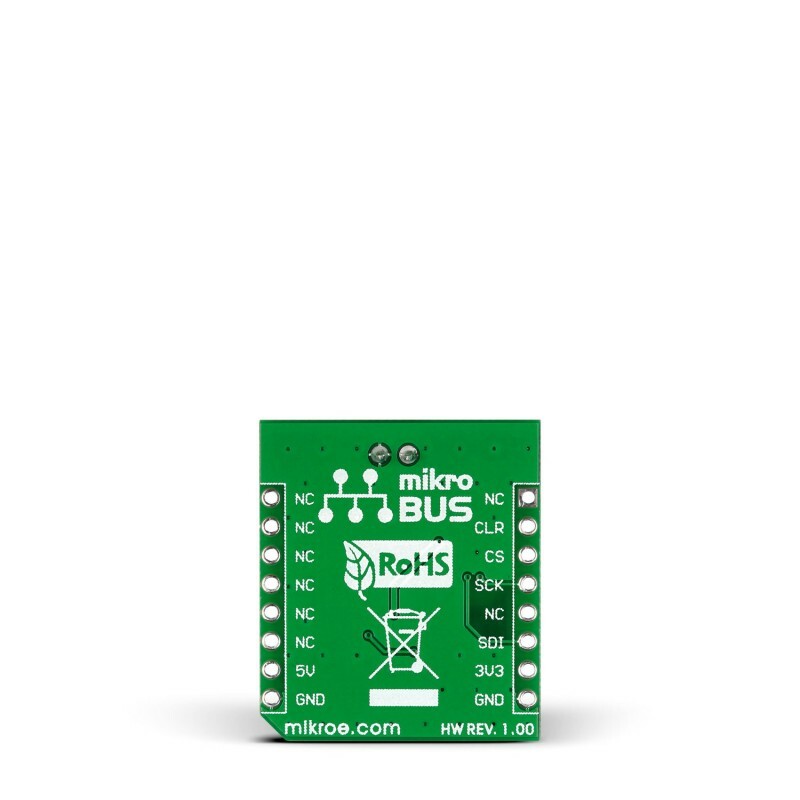 The click board communicates with the target MCU through the mikroBUS SPI interface with clock rates up to 50MHz. Additionally, the CLR pin, in place of default mikroBUS RST pin, clears all the registers. 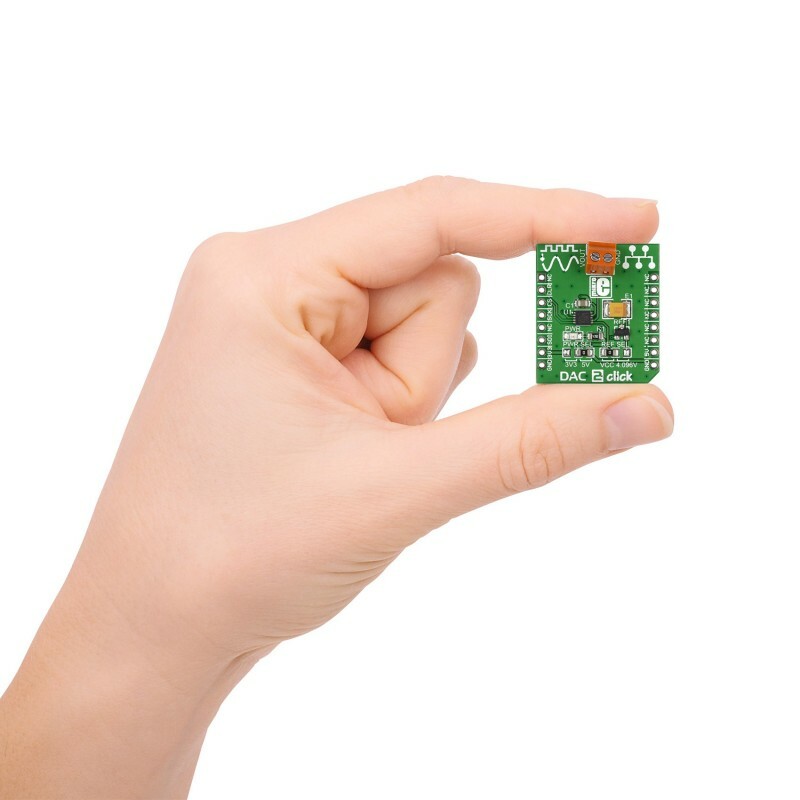 The board uses either a 3.3V or 5V power supply. You can also set the reference voltage either to VCC or 4.096V.